Babies always need a special care and a lot of attention. Especially if you have as many as three of them! 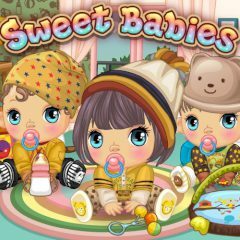 Bring each of the three cute babies to order using special baby cosmetics and means to care of children. Have fun!